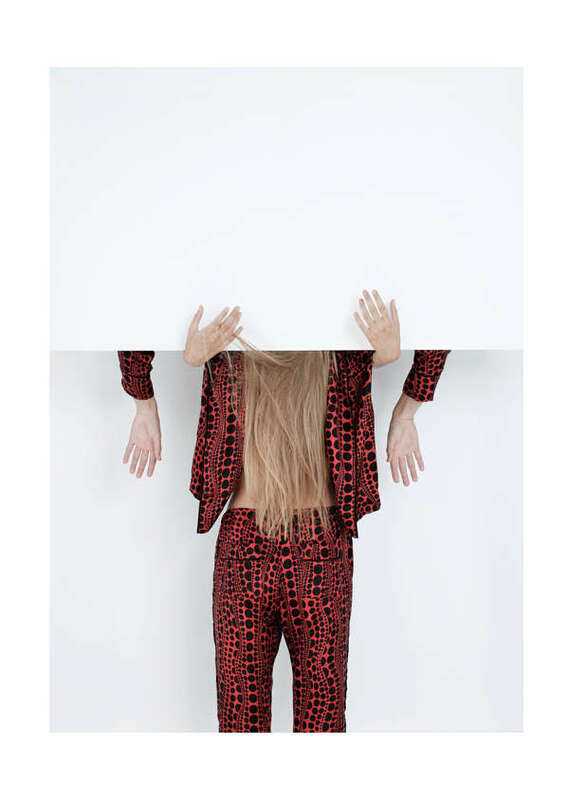 The Room Issue 15 editorial is appropriately strange and surreal. It features the Yayoi Kusama X Louis Vuitton fashion collection, which embodies the Japanese contemporary artist's avant-garde style. Her pension for polka-dots is thrown into sharp relief against the minimalist monochromatic backdrop, courtesy of set designer Aron Filkey. Shot by photographer Mate Moro, the Room Issue 15 editorial stars models Rose and Barbara Tompos, although they could have easily been a set of mannequins in this photoshoot. The beauties were styled by Nora Gyenge with makeup by Laura Tegely and hair by Mark Karolyi. Of course, the hair makes a much bigger impact considering that the models' faces do not make even one appearance in the photoshoot.